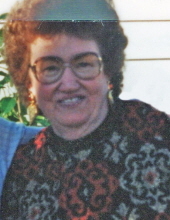 Bessie K. Simmerly, age 88, of Bourbon, Missouri, passed away Friday, March 22, 2019 at Meramec Nursing Center in Sullivan, MO. Bessie K. Malone was born on April 24, 1930 in Salem, Missouri, the daughter of Frank and Susie (Frazier) Malone. She grew up in Salem and attended school there. Bessie was united in marriage to John Simmerly on October 27, 1956 in Bourbon, Missouri. John preceded her in death on June 16, 2017. Bessie babysat for several families, and later, went to work at Meramec Caverns. She enjoyed going clothes shopping with her sister-in-law, Evelyn, and having her hair done on Fridays. For the past 12 years, Bessie had made her home at Meramec Nursing Center in Sullivan. Bessie is survived by one sister, Azlee Dare of La Belle, MO; one niece, Lavern Dare of La Belle, MO; one nephew, Richard Dare of Lake Ozark, MO; great nephew, Randy Dare; first cousin, Junior Simmerly and wife, Evelyn, of Bourbon, MO; cousins, Earl Simmerly of Bourbon, MO, and Mike Simmerly of Bourbon, MO; other relatives and friends. She was preceded in death by her husband, John Simmerly; her parents, Frank and Susie (Frazier) Malone; one brother, Bill Malone; and one sister, Marie Payne. Funeral services were conducted 11:00 AM, Tuesday, March 26, 2019 at the Eaton Funeral Home in Sullivan, with Pastor Dave Wright as the officiant. Interment followed in Bourbon Cemetery. Visitation was held from 9:00 AM to 11:00 AM, Tuesday, at the Eaton Funeral Home in Sullivan. Friends may send online condolences to the Simmerly family at www.eatonfuneralhome.com. To send flowers or a remembrance gift to the family of Bessie K. Simmerly, please visit our Tribute Store. "Email Address" would like to share the life celebration of Bessie K. Simmerly. Click on the "link" to go to share a favorite memory or leave a condolence message for the family.